There are two sets of 23 cards. The cards are divided between the children. Each child receives one (or more cards). 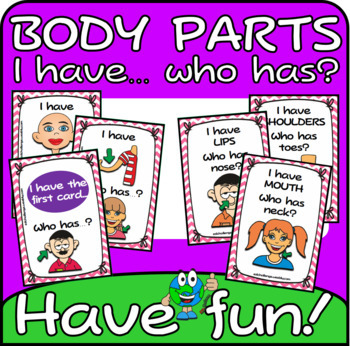 The child with the first card begins by asking who has the card with the same word as on his/her card. The child with the same word says: “I have …” and the asks: “Who has…? Game play continues until all the cards have been used.